This is it......one level ,3 bedroom 2 bath townhome. This Guadalajara Courts gem is ready for you to enjoy. New laminate flooring. Wood burning fireplace. Tile floors in bathrooms. 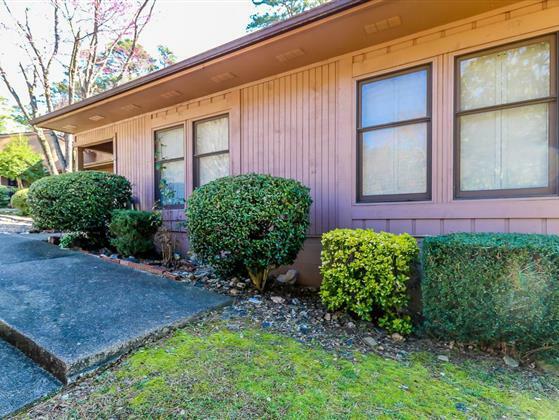 Convenient location to Lake Desoto, walking trail, marina and games area. Has great rental history. No disclosure available. Owner has recently replaced flooring with luxury laminate with tile in the kitchen and baths. Heat pump was replaced. The woodburning fireplace has been relined with metal liner. This is truly one townhome that you can simply move in and get on with living the Village lifestyle. Excellent condition.